Melodic Revolution Records is thrilled to sign UK band “BABAL” for their upcoming release “The Circle of Confusion of Tongues” due out in early 2018, this is the bands highly anticipated 4th album. In a statement from BABAL. 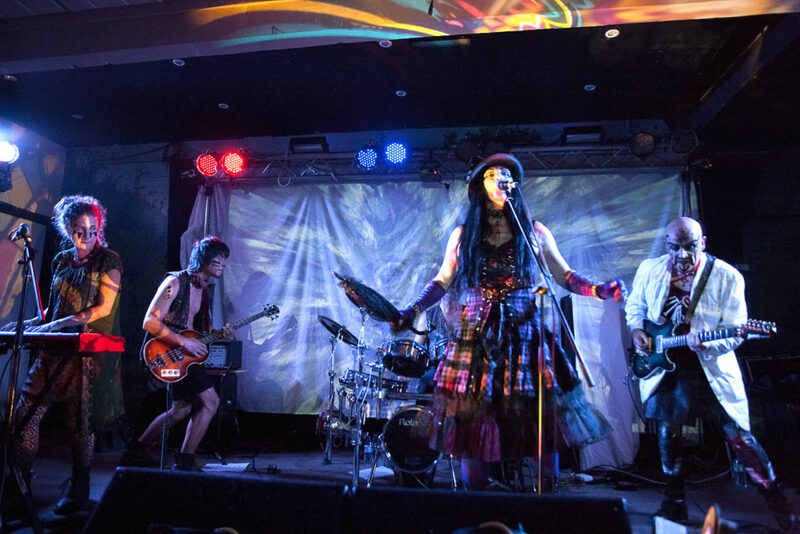 We are an avant-garde psych-rock band from Britain that crosses musical genres, styles, boundaries and we bring a distinct theatrical edge to our performances. We’re pleased to join the Melodic Revolution Records Family. Karen Langley blends her wild, powerful vocals and lyrics with the intricate razor-sharp guitar work and synths of Rob Williams, backed by the pulsing electric drums of Jon Sharp, which forms the foundation of the trio and group, with featured musicians Zoie Green on keyboards and Ben Balsom on bass guitar, for their latest album “The Circle of Confusion of Tongues” which is near completion, the album will be available on Vinyl, CD and as High-Quality Digital Downloads. BABAL had a very busy year performing at gigs and festivals, including the fantastic “Beautiful Days” festival in Devon this past August and we look forward to working with MRR to get our music out to a broader audience.